Schedule an appointment online & we’ll come to you! It’s easy going green with a Solar Hot Water Heater! We will discuss your hot water needs, evaluate the site, explain the available options and address your solar questions with clear and simple answers. We will provide a fair and honest estimate. 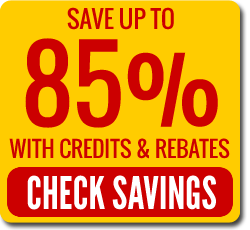 We will provide and help you with tax credit forms and all the necessary paperwork for utility solar rebate programs (application, copy of the quote/ work order, manufacturer spec sheet and installation certificate). We will apply for the required city/county permits for solar water heaters – a permit is required to qualify for utility rebates and subsidies. We will install your new solar water heating system, typically in one working day. We will perform a complete system check. We will schedule the city/county inspection. 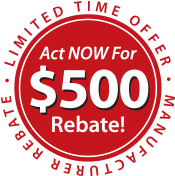 We will wait for your APS/SRP solar rebate, reducing your initial out of pocket cost. 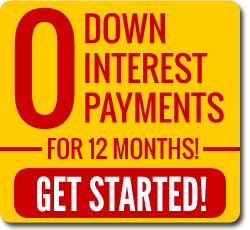 We will offer special financing: 0 Down/0 Interest/0 Payments for 12 months. We will stand behind what we do with a unique 10 Year Collector and 5 Year System Warranty.